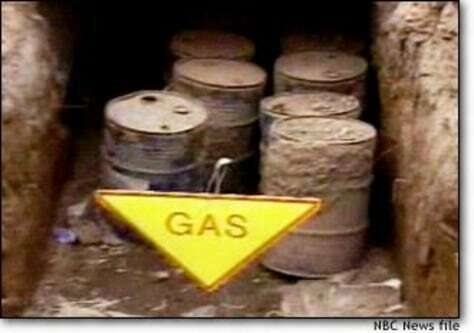 Field reports on these barrels found in April near Karbala, Iraq, indicated the presence of nerve and blister agents. But later tests showed materials used in agriculture. After a few such false starts, the U.S. military stopped publicizing finds like this.